Revel in the feeling of “getting away” without truly being too far from everything else you love. Green Haven is an exclusive community that affords you space, privacy, and peace—all without sacrificing proximity to the usual amenities of city living. 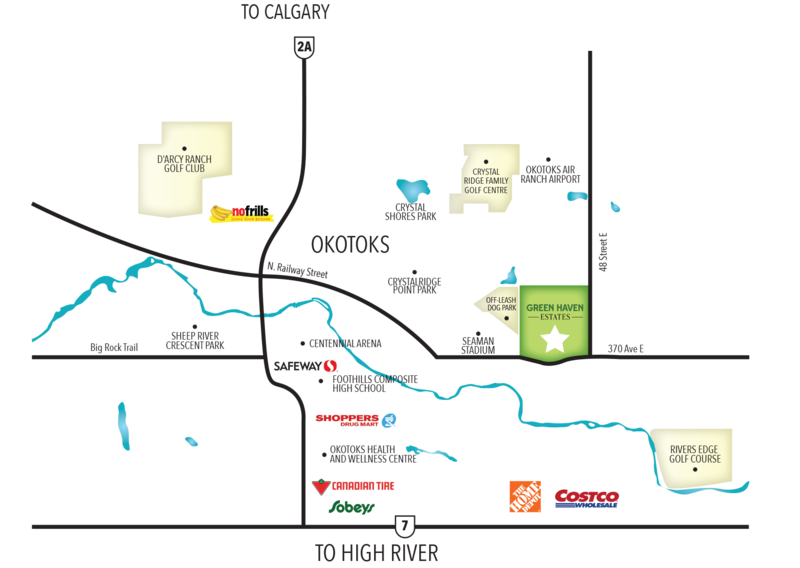 With Green Haven, you can easily shop for dinner at the nearby grocery store, take in a baseball game at the local stadium, and even schedule tee times at some of Okotoks’ best golf courses. Revel in the feeling of “getting away” without being far from everything else you love. Call us today at (403) 828-316 or enter your details below for more information.